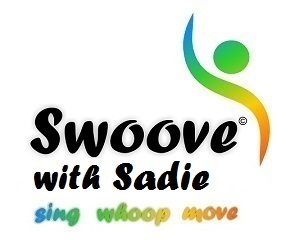 Hi I am Sadie and it is my pleasure to be bringing the Swoove exercise programme to a a venue near you in Crawley starting in January 2017. 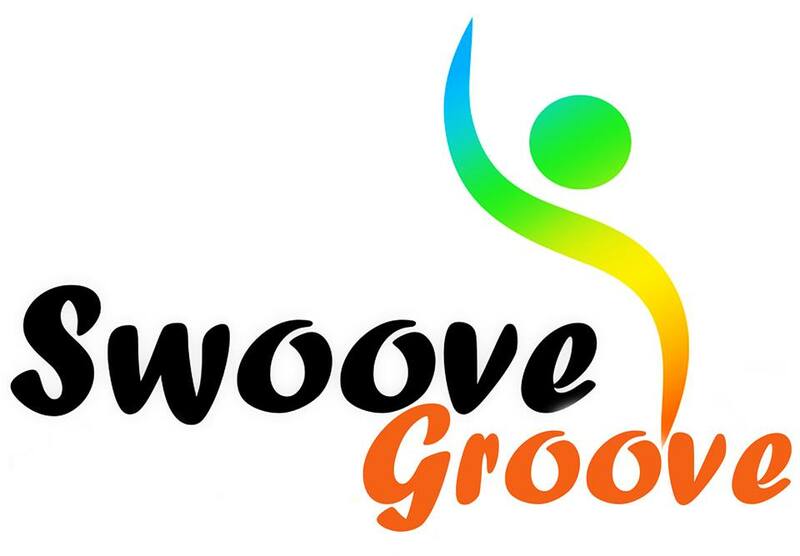 I am a fully qualified Swoove instructor holding qualifications in Swoove Fitness, Swoove Groove and Swoove Stretch. I also have a Level 2 Exercise to Music qualification and AFAA Group Exercise Instructor Certification. I have also completed a FABS Move it or Lose it course for teaching exercise to seniors. Swoove Fitness is aimed at ages 15-60 years, but it’s a guide only as you know how fit you are. Come along and move, dance, sing and whoop to the best playlist in town – you will be moving to golden oldies and chart hits. An hour of guaranteed fun and a great workout. Swoove Groove is for the Fab and Fierce over 55’s or those who need a gentler fitness programme, maybe new to exercise or returning to exercise after a break. A 15 minute warm up will ensure the vocals are out of this world! The 30 minute workout will include classic tracks by the Ratpack right up to current chart hits. The class concludes with a 15 minute cool down. Suitable for 55 year olds & over – we’re all different, so please take this as a rough guide only and all are welcome to try us out. All classes last one hour. 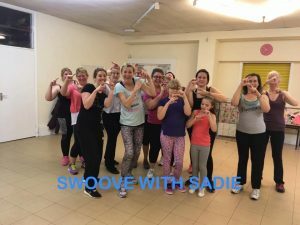 My Swoove exercise classes are welcoming, fun, motivational and non-intimidating. We are in your neighbourhood and looking forward to welcoming you. Your first class at Swoove with Sadie is always free so no excuse note to come along and give us a try – just £5 a class, no joining fee, pay as you go. Both venues have secure and plentiful parking.